In Illinois, your driving privileges may get suspended or revoked due to a number of reasons, and one of which is committing an offense such as driving under the influence. Here’s what you should learn about license suspension and revocation if you committed driving under the influence offense. What is driving under the influence offense (DUI)? An individual is driving under alcohol influence if they have a blood-alcohol concentration of .08 and above, or if they have used the illegal substance or drugs. In Illinois, drivers below 21 years old who have a trace of alcohol in their blood system can will have a charge of Driving under the Influence. As a result, they will lose their driving privileges. How can you get your license after being charged with DUI? Getting back your license after getting charged with DUI has a different set of requirements from other offenses. Reinstating a revoked license after a DUI conviction is complicated and more difficult. You must be a person who has a clean driving record in the past before the commission of the DUI nullifies the offense. Also, you have to get an evaluation from a specialist with regard to alcohol or drug use, and you have to submit a proof of treatment. You must complete an alcohol or drug education program. See the Secretary of State hearing officer to know more about this. Pay a reinstatement fee, and application fee amounting to $500 and then pass driving exams again including of a written one, a driving exam and a vision test. Is there a high chance of getting your license back after a DUI conviction? The rules of the Secretary of State are complex. There have been a high number of denied applications for reinstatement. It is recommendable that someone seeking to apply for reinstatement of his or her driving privileges must seek for expert legal help. 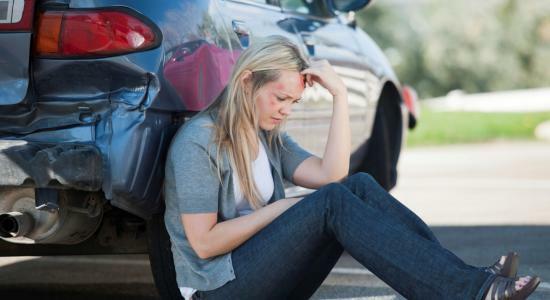 JMQ Law can help you with your legal needs after a DUI conviction. You have to prove to the state that you are not a risk to public safety. It is extremely difficult to have this proven especially for individuals who have gone to prison due to multiple driving under the influence offenses. How can you prove that you are not a risk to the public safety? The Secretary of State will consider a number of factors in order to determine if you are a risk to the public. The SOS will consider your alcohol or drug evaluation treatment and the rehabilitation that you were able to complete, your character references and most especially, your testimony. It is important that you prove that you are not a liability to the society. Losing your driving privileges is not something you should neglect. It might give you a hard time or a number of complexities, yet these are implemented for you to refrain from breaking the rules once more. You need to remember that you have to drive safely and follow the rules to avoid all the hassles and complications.